I am visiting Delhi for two weeks. I shouldn’t be hankering for crepes in the midst of this heat and mangoes and parathas and samosas and the kababs. But I am. 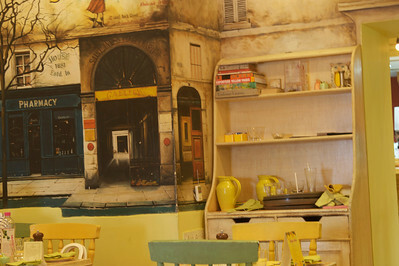 So, I am at Yellow Brick Road, a cute little cafe at Hotel Ambassador near Khan Market. It is painted bright and cheerful with a touch of toy-store feel about it. 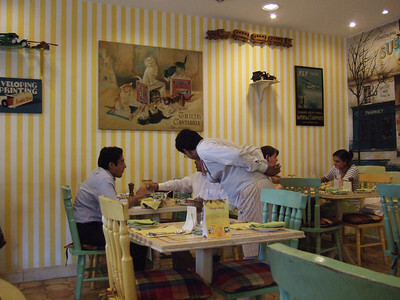 Judging by the clientele, it is popular with all – eastern and western, young and old, men and women. 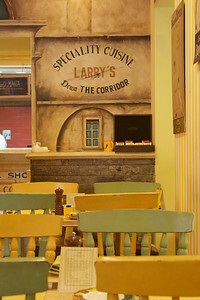 The menu, which is printed like a small newspaper, offers an eclectic mix of eastern and western food, north Indian and south Indian food, vegetarian and non-vegetarian food. Although there is patio seating, it is still too hot to sit out. I just want some plain sugared crepes with a touch of cointreau. 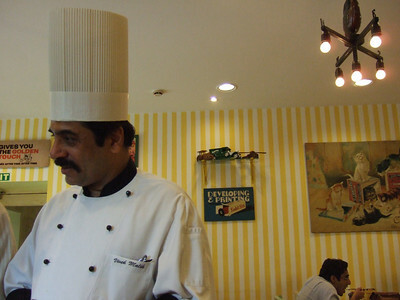 The menu offers only a fruit topped one so the chef comes by personally to take my modified order. 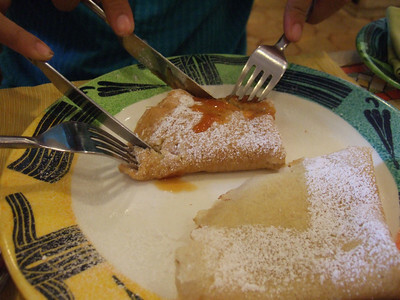 The crepes are served with apricot jam. Not bad. Not bad at all for a midnight crepe. I stay here till late drinking espresso and laughing with friends.